With this development Sri Lanka’s premier hospitality industry trainer, Sri Lanka Institute of Tourism and Hotel Management (SLITHM) continues to lead the way in holistic hospitality training and education through its liaisons with leading foreign institutions. These international connections which have been nurtured over a long period of time have opened up unique opportunities for SLITHM students to receive training in reputed foreign institutions. As a result, SLITHM’s foreign scholarship programme for high performers has spawned many well rounded hospitality professionals who today serve the country with distinction. SLITHM has had a longstanding relationship with the Institute of Tourism and Hotel Management (ITH) Salzburg, Austria. Being one of the leading hospitality educational institutions in Europe, its programmes are highly sought after and have won world acclaim. ITH which is based in Salzburg, Austria offers 30 scholarships annually to Asian and African countries, allocating two scholarships for each country. ITH first made available these year-long scholarships to SLITHM way back in 2005 and since then many Sri Lankan students have benefitted from the experience and expertise gathered from one of Europe’s top hotel schools. This year SLITHM has selected four of its top students to avail of this unique opportunity. 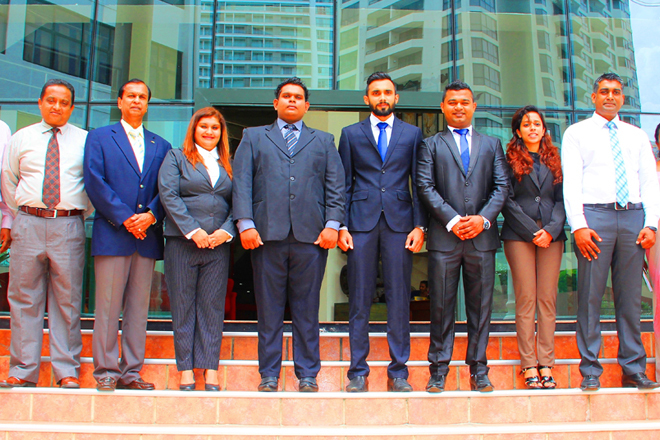 Based on performance criteria these students have been selected from the main campus in Colombo and in Bandarawela. The ITH program consist of theoretical sessions (8 months), teacher training (1 month) followed by industrial training (3 months) in reputed star class hotels in Austria. The scholarships are only offered to students of SLITHM who have successfully completed 04 certificate courses complemented with two years of hospitality industry experience. An added requirement is for prospective candidates to have German language certification from Goethe Cultural Institute in Colombo. SLITHM students are eligible for a 50% discount on German language courses at the Goethe institute.